For a couple of hundred dollars less than the 2018 Ford Explorer, buyers can have a Volkswagen Atlas instead. But let's take a look at them in a head-to-head comparison to see which represents the better buy. The Explorer looks a lot more modern, stylish and sporty than a lot of its domestic rivals, so its styling is probably a lot closer to that of the VW Atlas. Although the Ford's design is much older than that of the Volkswagen, you really wouldn't know it looking at them. 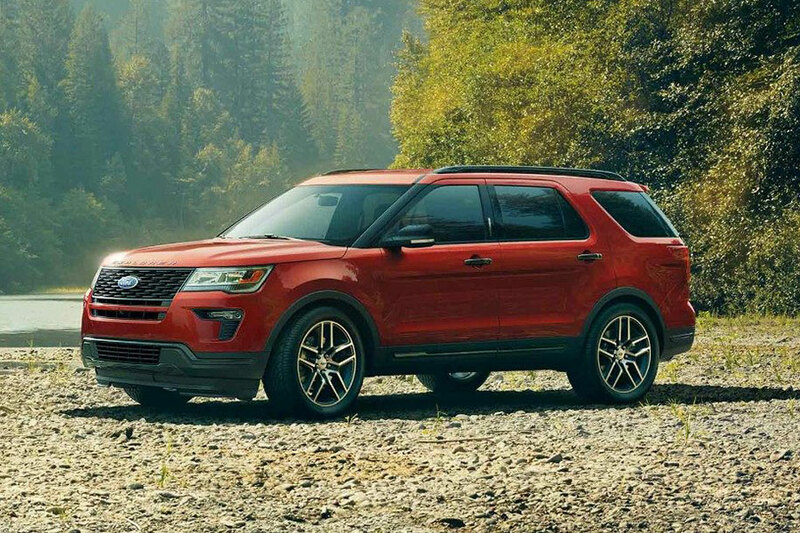 Just as the Atlas bears a striking resemblance to other models in its manufacturer's range, the Explorer looks like a bigger version of Ford's Edge and Escape models. Nothing is particularly wrong, unattractive, or polarizing about the way the Atlas looks. It's just that the Volkswagen seems to lack any sort of character. Nobody would be unhappy about the way the Volkswagen looks, but few would think "wow" when they see the Atlas either, so exterior styling goes to the Ford. 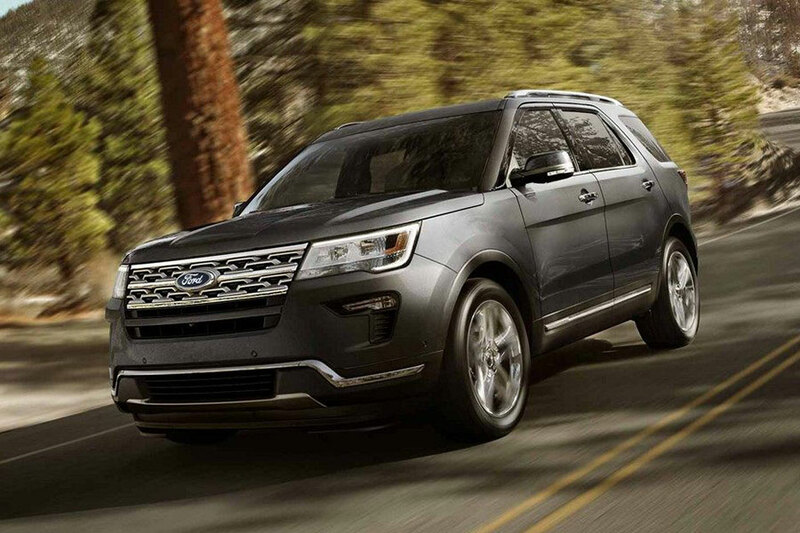 All the bases are pretty much covered by the trio of engines on offer with the Ford Explorer. The base V-6 makes the SUV a capable and affordable option, while those wanting something more contemporary can have the four-cylinder turbo while those wanting exhilarating performance get the twin-turbo V-6 that serves up a healthy 365 horsepower and 350 lb.-ft. of torque. The standard engine for the Atlas is a 238 horsepower 2.0-liter turbo-four, but it's a little lacking in power for a vehicle of this size and it can't be paired with all-wheel drive. More power and all-wheel drive is available from the optional 3.6-liter V-6, but with just 280 horsepower to speak of, it's still no match for what's under the hood of the Explorer. Fuel economy ratings can be a touchy subject for Volkswagens, but there's no diesel Atlas so that's not an issue here. Even so, the best numbers the Atlas can muster are a comparatively disappointing 22 mpg in the city, 26 mpg on the highway and 24 mpg combined from front-drive, four-cylinder versions. That's still enough to give the Volkswagen a win though, and that's because the best ratings the Explorer can claim are 19/27/22 mpg from its four-cylinder turbo. Considering the Atlas isn't exactly cheap for a model that's smaller than its Ford rival here, the Volkswagen doesn't exactly come with luxury levels of features and equipment. All the basics are there, but entry level models don't go far enough beyond that to impress us. The Explorer has a few more standard features at lower trim levels, but at the other end of the spectrum there's no competition here. Although in Sport and Platinum trims the Ford can look expensive on the surface, the Explorer comes with a staggering list of features and don't forget the all-wheel drive and that sensational twin-turbo V-6. It's a bit of a surprise that what's effectively an eight-year-old model in the shape of the 2018 Explorer looks and feels every bit as modern as something as recent as the Volkswagen Atlas. But that's the way it is, and it's hard to make a case for paying almost as much for an Atlas that offers so much less for the money than an equivalent Explorer.